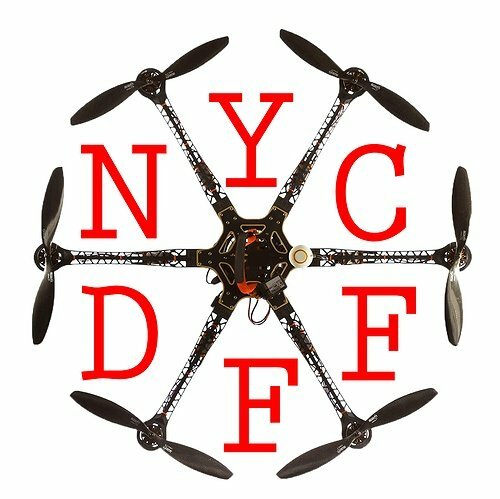 New York, NY - August 20, 2015 - The 2nd Annual New York City Drone Film Festival will be held from March 4th through March 6th 2016. The three-day event will feature a dynamic slate of interactive panel discussions, guest speakers, screenings of nominated films and the annual awards ceremony. The festival will return to the Directors Guild of America Theater for the second year in a row. The NYCDFF is the world's first event exclusively dedicated to celebrating the art of drone cinematography. In its inaugural year, the festival received over 150 submissions from 19 countries. The event sold out in five days, attracted 31 sponsors across ten different industries, and received over 270 million media impressions. The festival provides a platform for aerial filmmakers to showcase their work, shot anywhere in the world, emphasizing innovative flight technique and aesthetic beauty. The festival offers an international platform for filmmakers from every corner of the globe to exhibit their work in front of industry professionals and the drone cinema fan community. Awards will be presented in eleven categories, including two new categories for 2016. The new Extreme Sports category will emphasize the unique ability drones have to capture the excitement and vigor of motocross, mountain biking and other extreme sports. The new Stills category will spotlight the world of drone still photography. A description of all of the award categories can be found below. Tickets for the three-day event will go on sale in January. NARRATIVE – A great film always centers around great story and a drone film is no different. These films tell great stories. LANDSCAPE/ARCHITECTURE – There's no question that drones are an ideal tool for shooting landscapes and architecture. These films take it to the next level. SHOWREEL – Aerial cinematographers tend to collect a lot of footage. This category is for those who wish to showcase a wide variety of their work. TECHNICAL – Getting great drone shots is always technically difficult to achieve. However, sometimes you're flying in extreme weather conditions, flying $100k worth of gear on your drone, or dealing with intricate choreography. This category is for those truly exceptional technical achievements in drone cinema. FREESTYLE FPV – Footage of an outstanding freestyle run? High octane race footage? This category is not about picture quality...it's all about flying skills. DRONIE – The "drone selfie." Enough said. STILLS* – Motion picture photography and still photography are completely different arts. Finalists in this category will have their work printed and displayed at NYCDFF screenings and events. EXTREME SPORTS* – Extreme sports are best seen via drone and we will showcase the best extreme sports footage in the world. Mountain biking, wing suits, motocross, skateboarding and everything in between. X-FACTOR – These films don’t fit the other categories, but they’re still F@&ing awesome. Subject: LongIsland.com - Your Name sent you Article details of "2nd Annual New York City Drone Film Festival Expands to 3-Day Event, Returns to the DGA Theater"